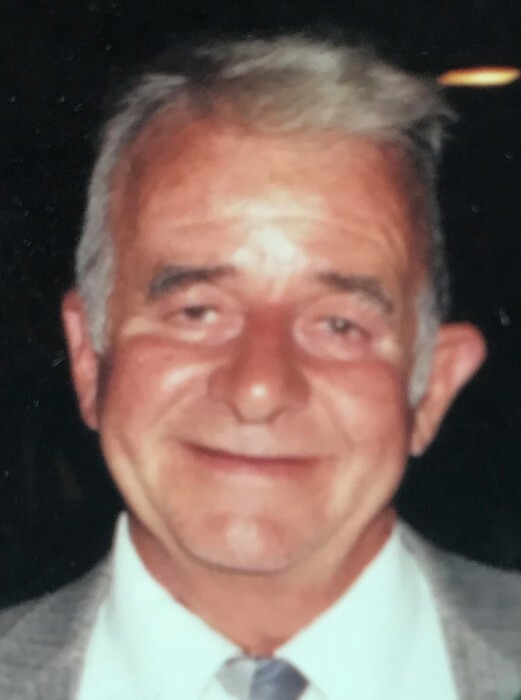 Obituary for Joseph H. McClaine | Buechele Funeral Home and Cremation Services, Inc.
Joseph H. McClaine, 91 of East Brady died Saturday, July 28, 2018 at the VNA Inpatient Hospice, Butler. Born December 22, 1926 in East Brady, he was the son of Joseph H. and Eva Belle (Craig) McClaine. On August 23, 1953, he married the former Joann Byrnes. She preceded him in death on December 16, 2015. A 1944 Graduate of East Brady High School, Joe worked in the Michigan Limestone Mine in Bradys Bend for 10 years and then Pullman Standard in Butler for 24 ½ years in the erection department. During World War II, Joe served his country as a PFC First Class with the US Army Infantry and was also a paratrooper. He was a life member of the American Legion Post #402. Joe was a member of St. Eusebius Roman Catholic Church in East Brady. He was also a member of the East Brady Volunteer Fire Department since 1947 and the East Brady Ambulance Service since 1977. Joe played fast pitch softball for East Brady for many years and called BINGO for 45 years. Surviving are 2 sons; Joseph Patrick (Brenda) McClaine of East Brady, and Edward McClaine of Chicora. 2 daughters; Lynn (Rocky) King of Bradys Bend and Amy (Michael) Vasbinder of East Brady. He is also survived by 2 brothers; Thomas (Georgie) McClaine, Fred (Rita) McClaine, 2 sisters; Jeanen Hall, Diane Miskiel, 10 grandchildren; Nick, Holly, Chad, Patrick, Luke, Andrew, Lakein, Maggie, Mallory, Christopher and 14 great grandchildren. Joe was preceded in death by his parents, loving wife, Joann, 1 brother Michael and 2 sisters, Patricia Harmon and Miriam Mooers. A Parish Prayer Service will be held in the Funeral Home at 3:00 PM Tuesday. A Mass of Christian Burial will be celebrated at 10:00AM Wednesday, August 1, 2018 at St. Eusebius Church with Rev. William Kuba officiating. Military Honors will follow Mass at the church.